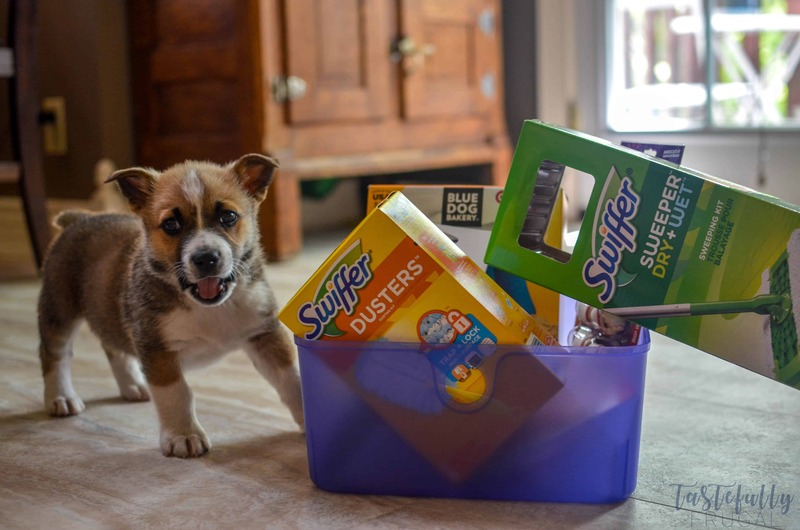 Create a gift basket perfect for any new puppy mama or papa at Target with essentials including treats, toys and Swiffer cleaning products to make clean ups easy peasy. 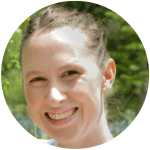 It has been an exciting few weeks around here. Not only did we have a crazy awesome Teacher Appreciation Week and end of school party but one of our family’s BFFs adopted a new puppy! They had to put their old pup (really he wasn’t a pup he was 13 years old) down right after they moved 6 months ago and it was so hard on them they got rid of all their doggy supplies. So when she texted me a picture of their new puppy I knew this puppy aunt needed to put together a gift basket! I got everything for this gift basket at Target! I love shopping at Target, even more when there are coupons and/or Cartwheel deals I can use to save even more. And I was able to use Cartwheel offers and coupons on almost everything in this gift basket. 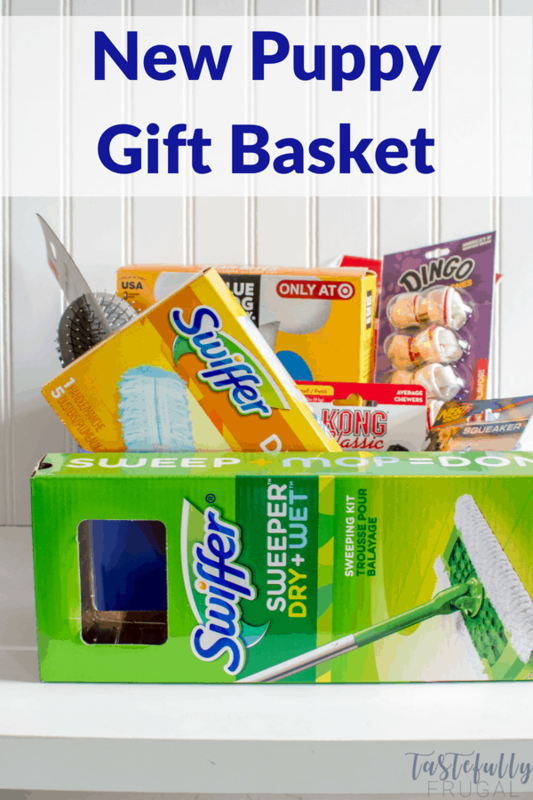 The basket itself came from the Dollar Spot and both the Swiffer Sweeper Dry Cloths Starter Kit and Swiffer Sweeper Starter Kit have $2 off Cartwheel coupons available until June 2nd. If you’re going shopping before May 26th, you can also save 20% on lots of dog treats and toys too. One of the reasons they held off for getting another dog for so long is they loved having a new house without dog hair everywhere. As amazing as dogs are, #ShedHappens and the shedding can be a little out of control. I knew one of the things I wanted to add to the gift basket was something(s) to quickly and easily clean up all the hair. 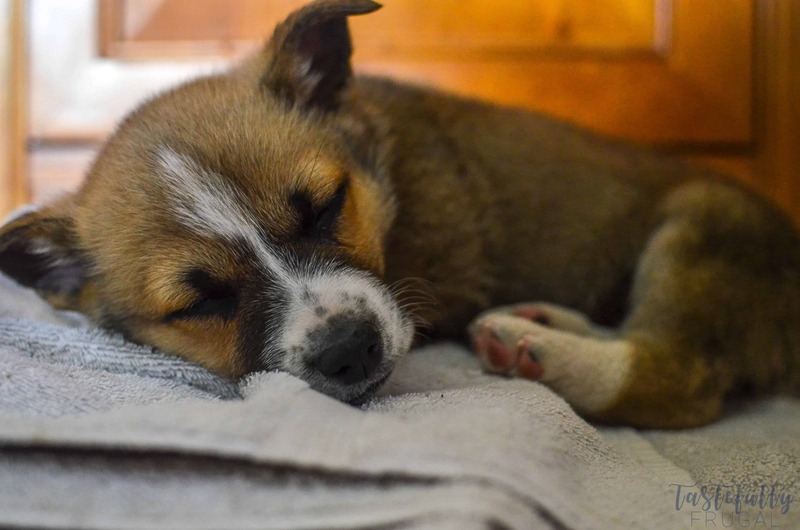 But the real test came when it was time to meet this cute little guy! 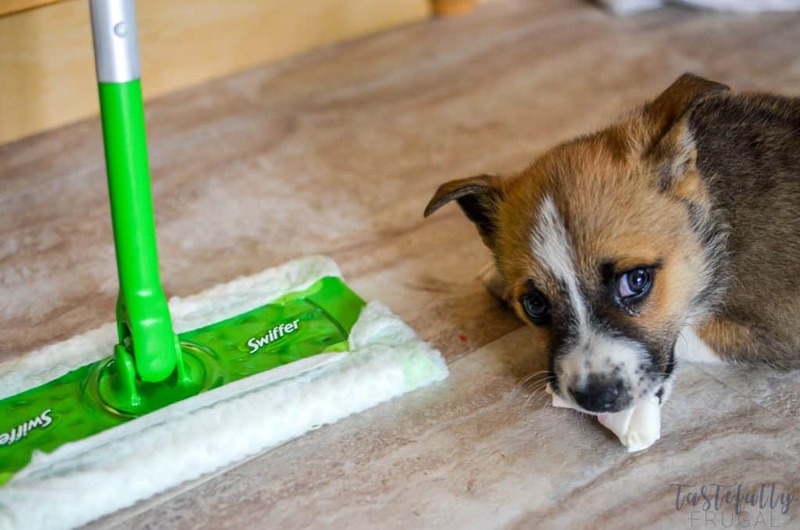 He’s a Border Collie/Corgi Mix and seriously the cutest darn pup ever! He loved all his toys and treats and especially loved chasing the Swiffer Sweeper around. My friend, Emily, loved how fast and easy it was to clean up all his hair and little muddy paw prints he tracks in after being outside. 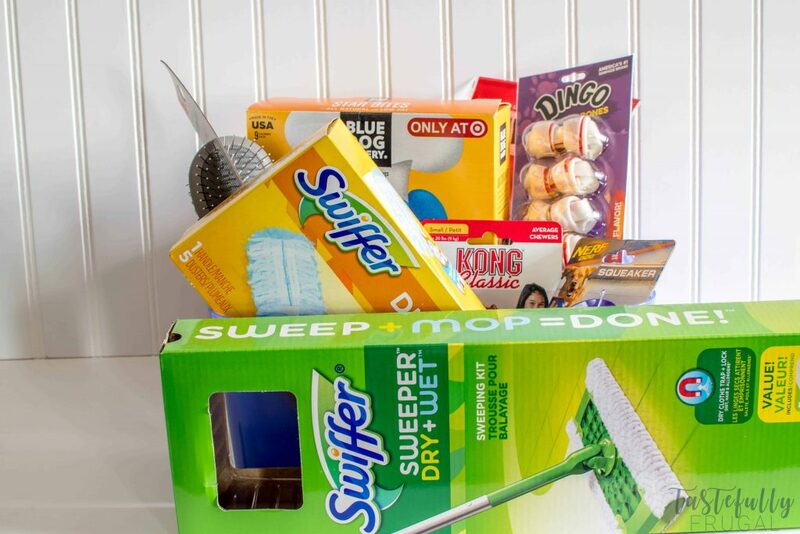 If you’re getting a new pup, or have a friend or family member getting a new dog, head into Target and get everything you need for your home and your pup and save with Target Cartwheel offers! 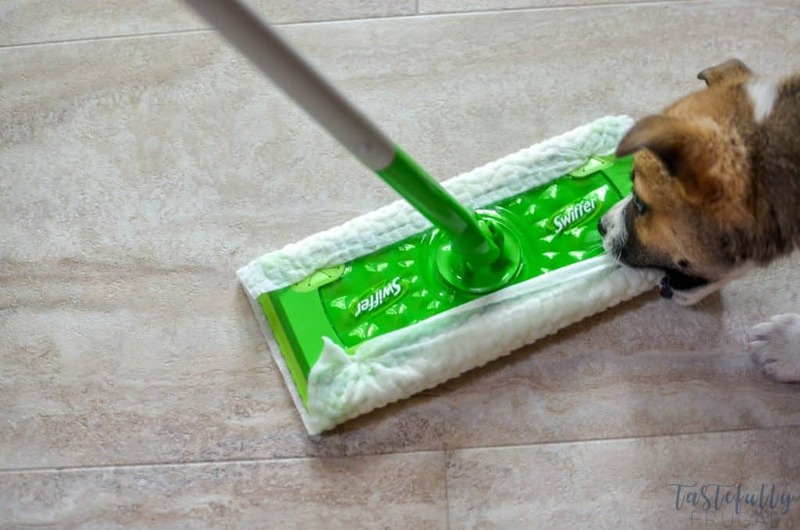 To learn more about Swiffer products and what product(s) would be best for your home check out Swiffer.com or Swiffer’s Facebook page.